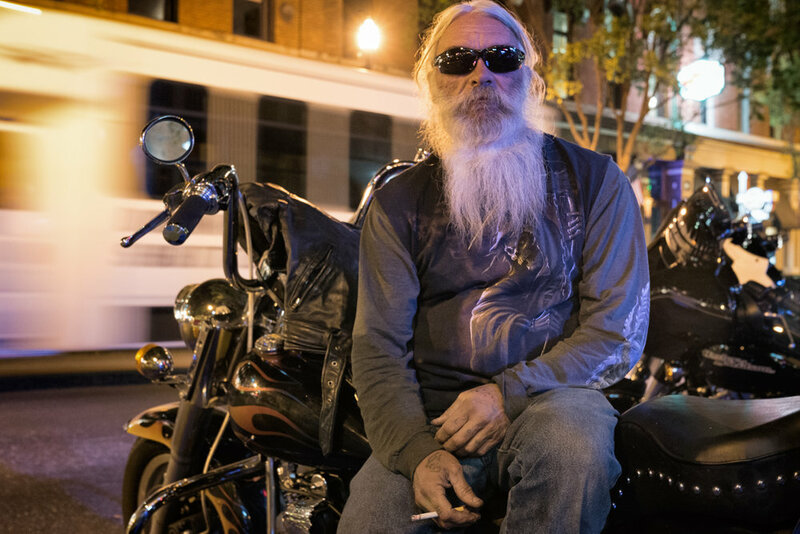 He was sitting on his bike outside of a bar in downtown Nashville. "LOVE" and "HATE" tattooed to his fingers... He looked like the type who drifted into town with the thought of one night, but likely turned into two and later three. By ten that evening, he was laying down on his ride with his feet hanging over the rear tire – his head on his handlebars. It was as if he owned the street and if he was told to move on, with a spit he’d say no and sit tight. The type most would not approach in fear of not being able to walk away, he sat alone as the traffic around him blurred past. I'm a drifter, lonesome drifter"